There are a lot of facial plastic surgeries nowadays, even for men. Especially the Eyelid Correction is a favorite Facial Plastic Surgery, but also a Ear Correction or Rhinoplasty is quite popular. 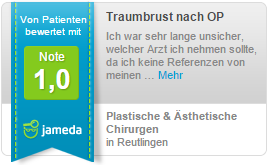 Acoording to DGÄPC, 6% of German men decide to have a Rhinoplasty. There are many reasons justifying this decision, but a treatment for men is mostly chosen if the nose is recognized as a cosmetic blemish. A lopsided or crooked nose can affect the whole face and influences the facial features by becoming a spotlight in the face. A crooked nose can also led to health problems by complicating the breathing. Whoever suffers from an unusual form of the nose can have a Rhinoplasty in order to correct the nose professionally. A Rhinoplasty is a complex surgery and is seen as the supreme discipline of aesthetic and plastic surgery. Therefore, only an experienced surgeon should perform this surgery. A detailed consultation in advance will give you an overview about the process, the risks and the aftercare of the surgery so that no questions will remain. Moreover, the functionality of the nasal mucosa will be checked in advance as well as the necessity of a change of the nasal structure and corrections. The correction of the nose is an individual surgery, differs depending on the person and the particular problem. If the problem is a hump nose, an excess on bones and cartilages has to be removed after the cut. In the case of a crooked nose, a correction of the nasal septum is necessary, because this is the part that is crooked. Moreover, it is possible to correct the nasal tip by a special stitching technique or correction of cartilage. A few circumstances imply the use of an implant for the correction, for example if the nose is drooped or collapsed. Then, the implant has to be removed from another part of the body in order to stabilize the nose afterwards. Almost all surgeries imply a cut at the nasal mucosa, in a few cases a cut at the nasal wings is necessary. Moreover, there is a difference between an open and a closed access. An open Rhinoplasty involves two v-formed or cascaded cuts at the inner side of the nose. The advantage of this method is that the surgeon is able to work as precisely as possible and can guarantee a permanent and successful result. However, this method is also more painful and complex and leads to a 5mm long scar, which will barely be visible afterwards. The closed Rhinoplasty contains lower risk and has the advantage that the scar is inside the nose so it will not be visible at all. However, the access is more difficult and therefore, the overview is lightly impeded. The Rhinoplasty will be carried out under general anaesthetic and stationary. The duration is about one to two hours. The Rhinoplasty will lead to light pain and small bruises afterwards. Moreover, the nose will be equipped with a gypsum which will be removed after one week. The decay of bruises lasts up to six weeks and during this period, it is important to support the healing with cooling, medication and tape bandaids. A one-day residence as well as three to four follow-up appointments are obligatory, as well as an absence for one week. Physical activities can already be carries out after 10 days, sports and direct solar radiation should be avoided for six to twelve months. Moreover, it is recommended to use a healing sage for the nasal mucosa. Restrictions at breathing or smelling do occur very rarely. In general, the patient should be careful with the nasal area for a few weeks, including the waiver of wearing glasses and only careful sneezing. The final result is visible after nine to twelve weeks. If you have further questions concerning the surgery, we are pleased to advise you personally. You can either sent us an email to info@parkklinik-hannover.de, telefonisch call us +49(0)5113908813 or use our contact form.